SIS Pitches will have an exclusive reveal of their new hybrid grass VR experience. This year at BTME, Europe’s leading exhibition for turf professionals, SIS Pitches will have an exclusive reveal of their new hybrid grass VR experience. Be one of the first to look at the brand new virtual reality tour of the SISGrass Universal installation at The Oval Stadium. See the machine in action at the exhibition, 22nd – 24th January in Harrogate, which is free to attend. SISGrass Universal is a revolutionary innovation, able to change hybrid pitch provision for cricket and golf surfaces. 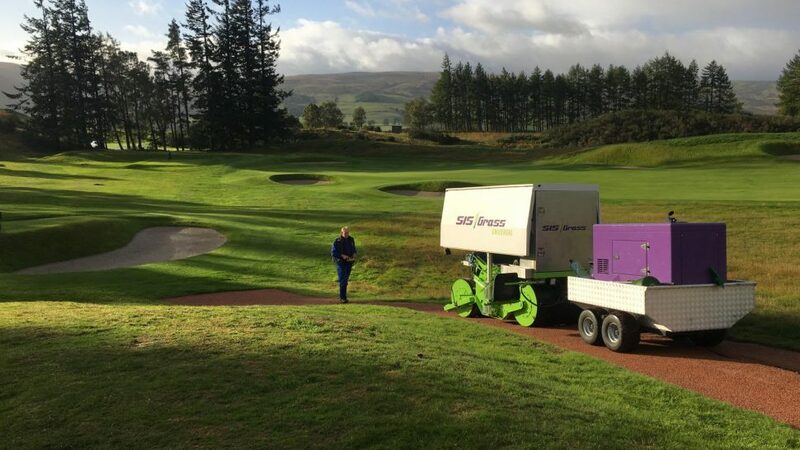 The machine provides the perfect solution for golf clubs facing challenges in maintaining uniform grass quality in high-wear areas, such as tees and walkways. Putting a marker down in the hybrid surface market, SISGrass technology addresses the needs of both golfers and groundskeepers. The machine is mobile and versatile, able to negotiate around any golf course. The machines are fully electric providing fast, efficient and quiet operation with no risk of oil leaks. SISGrass, installed at some of the largest stadiums in the UK and across the world, offers heightened playing hours, and aids groundsmen with faster post-use recovery time. As well as golf and cricket surfaces, SISGrass can help to reinforce any natural grass surface, across sports including tennis, American football, rugby, and football. To find out more, have a chat with SIS Pitches at stand 130. If you would like to book an appointment to discuss your project, please contact Phil on philb@sispitches.com, 07736 921 126.